Image Provided by David T.
MissionTripInsurance.com & Insurance Consultants International has a heart for missions and loves encouraging people who have been called to go out and spread “the Good News” with all the nations! The travel journal is a great way to keep your friends & family connected with you while you gear up for your trip and while you’re on the mission field. So what should you journal about? 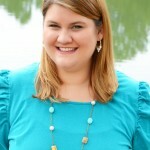 Really, whatever you feel led to share with others about your mission trip! But here are a few suggestions to help you get started! Keep then updated! Let them know that you arrived safely… provide them with daily updates and prayer requests for your trip. God Stories!!!!! What is God doing for others and how’s YOUR faith growing? Try anything new? Tell people about trying a new food, cultural experience and programs! Don’t forget to upload pictures too! How did God use you? Don’t Forget to take pictures!! Pick one that’s your favorite to enter into our 3rd annual “Captured in His Image” Photo Contest in Sept. 2013! Have your church put your travel journal link in their bulletin and website to keep your congregation engaged & informed! 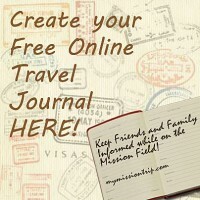 Send your travel journal link with any fundraising, thank you letters, and promotions! TIPS for your Travel Journal! REMEMBER your travel journal is PUBLIC! Anyone can read it!